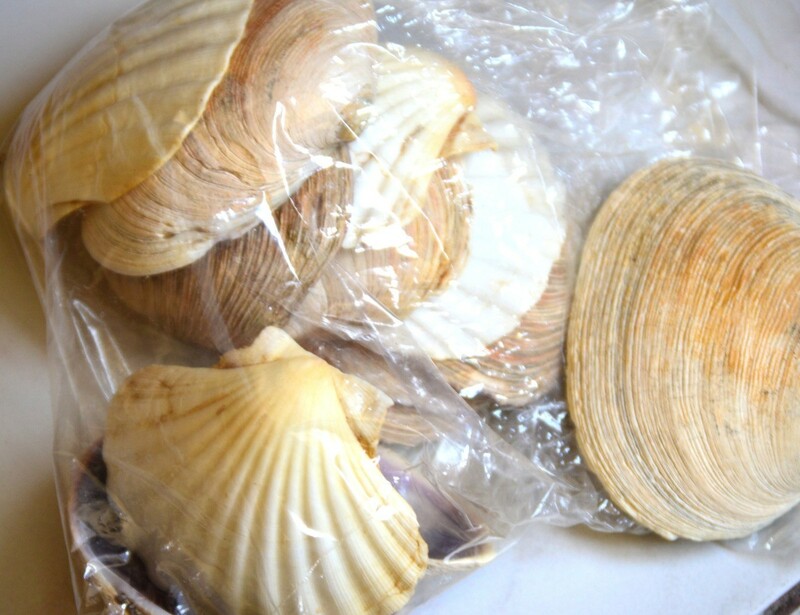 I like to buy scallop appetizers at the seafood shop. 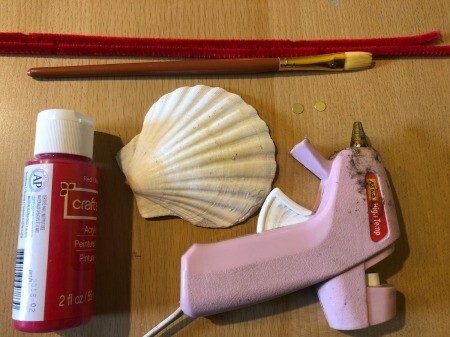 They come in these beautiful shells, so I clean them and keep them for crafts. 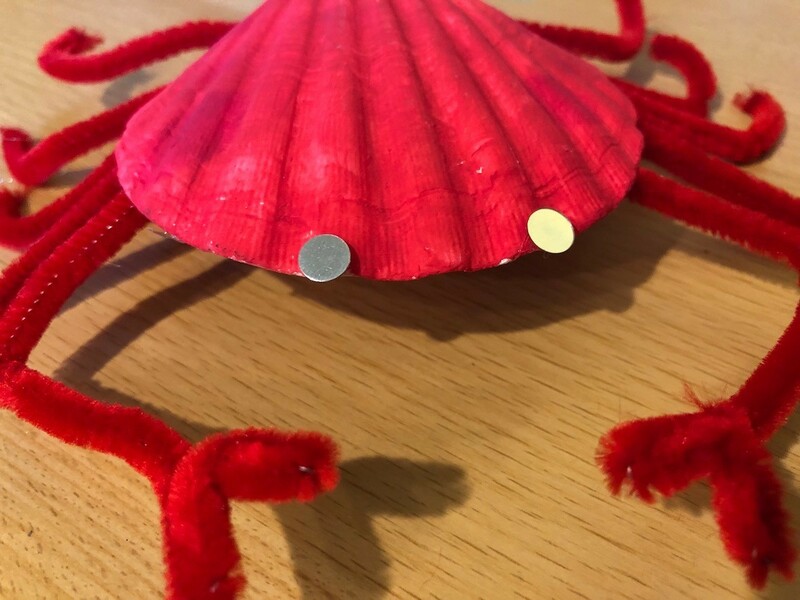 I've made a little red crab with one of them here. It's pretty easy to do and looks so cute. You can add a magnet to the back and put it on your fridge, if you like! 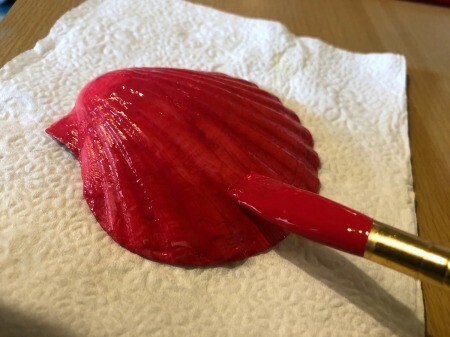 Paint the shell red and allow to fully dry. 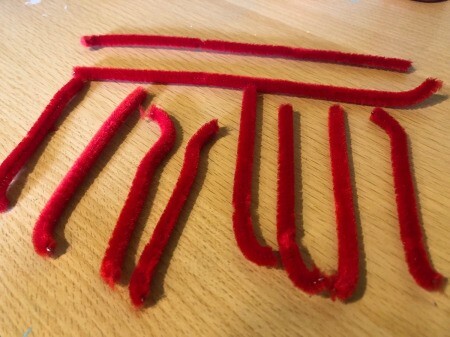 Cut 2 of the pipe cleaners into quarters, and 1 of them in half. 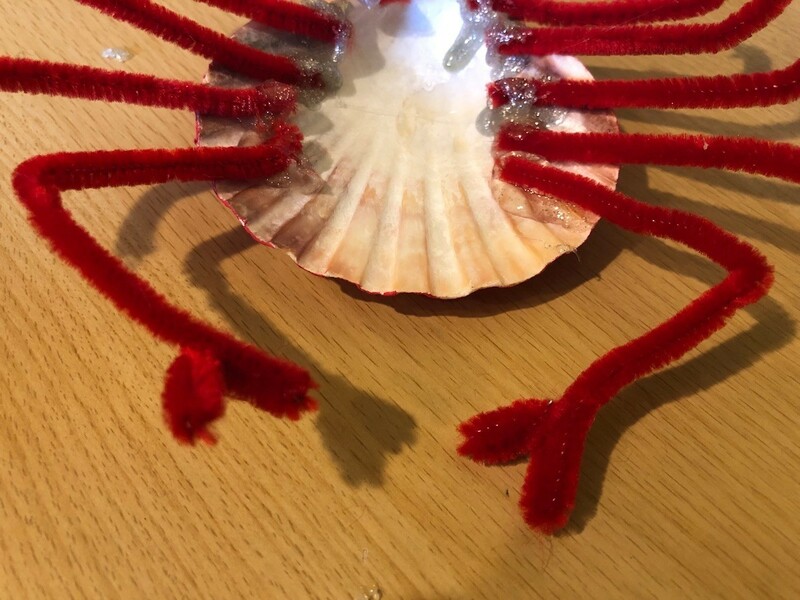 To make its walking legs, hot glue the shorter pieces of pipe cleaner on the back side of the shell. Bend the ends a bit. To make the crab claws, bend the end of a longer pipe cleaner into an M shape, then move the first section under the first diagonal. Now move the long stem under the second diagonal. 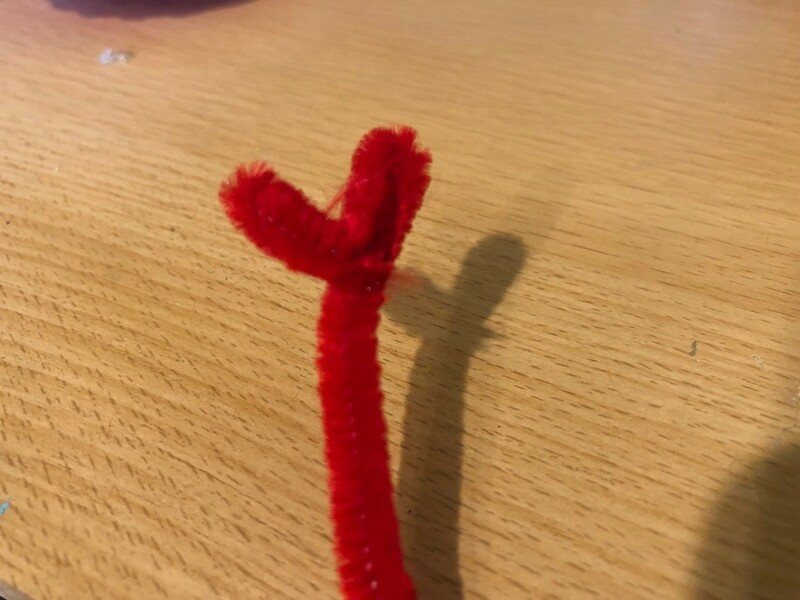 It will look like the letter Y. Repeat with the other pipe cleaner. 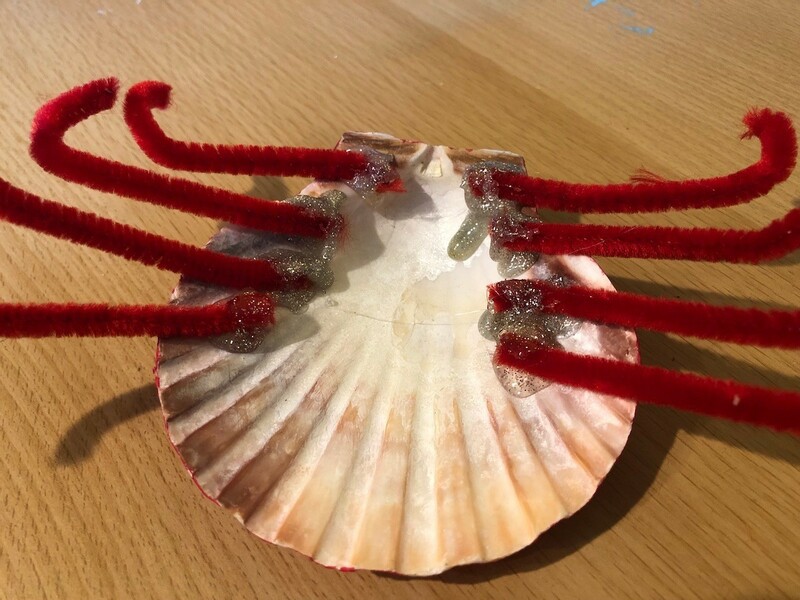 Glue the claws to the top of the back of the shell. Glue on the little eyes. Oh that sure is cute! 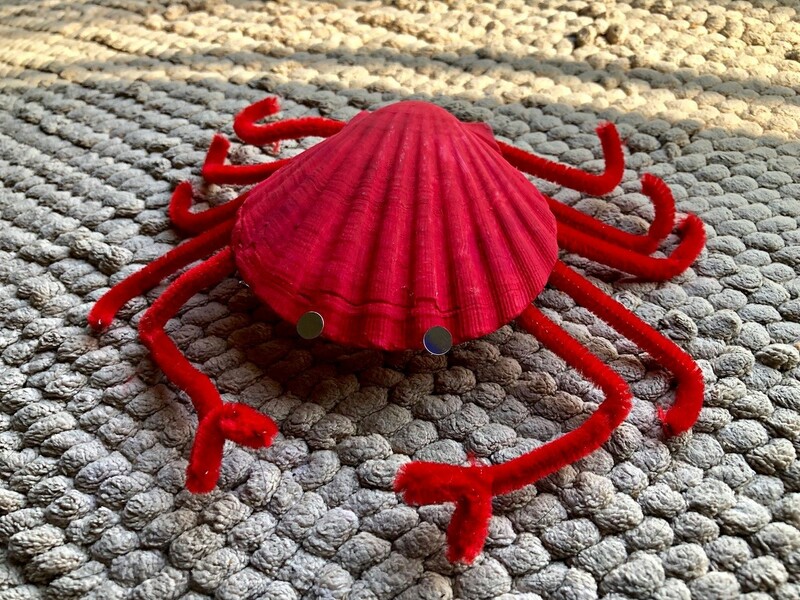 I save those shells too from the stuffed crab on the shell. I think they'd be adorable too as a center piece on the table (maybe?) when having a combo seafood dinner. I like to have fun like that with special dinners, like my hubby's birthday, and dress up the surroundings for the whole feel of it. 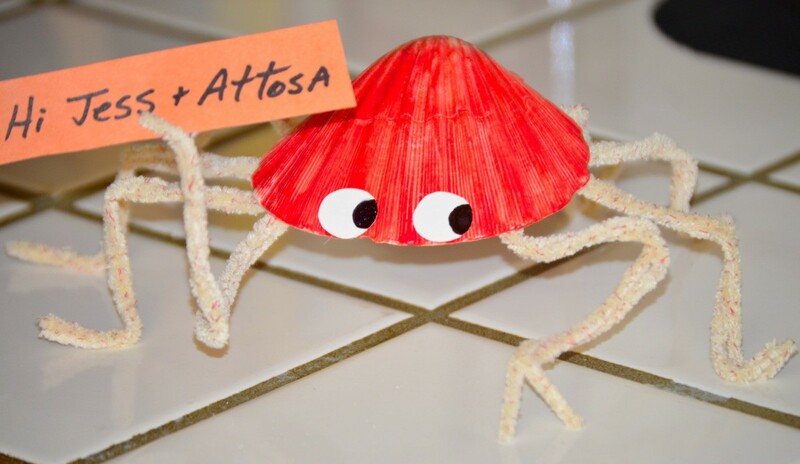 Well, I loved this crab so much, I made one yesterday, and I used water color, which worked, but not as well as acrylic paint would, and I need red pipe cleaners, (they look better like Attosa used) but this little guy is so cute (thanks again Attosa) I want to make an army of them, hahaha and I think them holding little signs, or a birthday card in it's little claw, will be so cute for my hubby when his birthday rolls around. 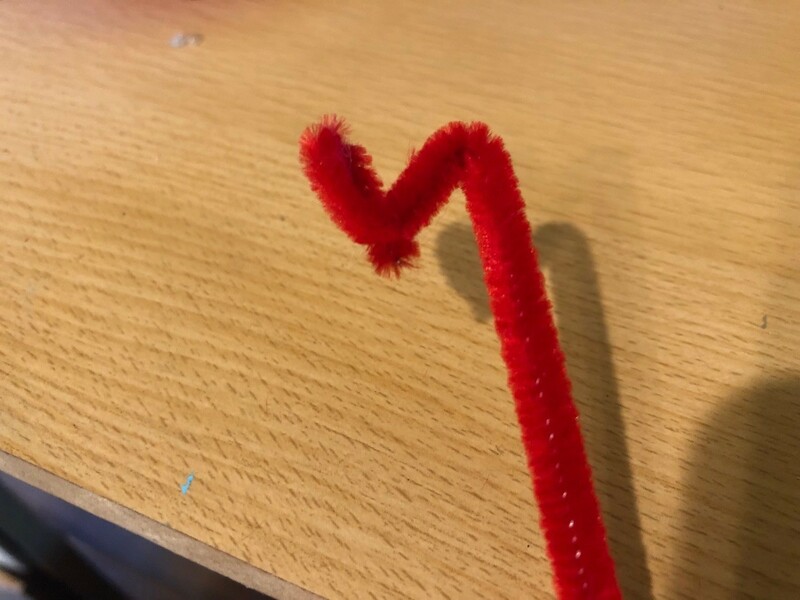 I really had fun too making this one, and I look forward to making more when I have the right "pipe cleaners" and red paint. Yay! 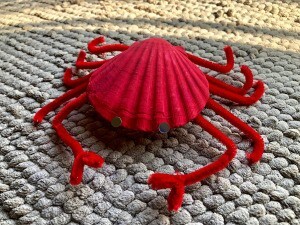 Love the note and the crab turned out super cute. AWWW I LOVE LOVE LOVE LOVE LOVE THIS!! Thank you for making it and posting the pic with the cute message! Made my day like you would not believe! That was a kick making my little crab too out of that shell. I love the idea of different colors. There are blue crabs after all, or you could do a more realistic splotchy rust color instead. Or go all out and do crabs in bright primary colors. Such fun!